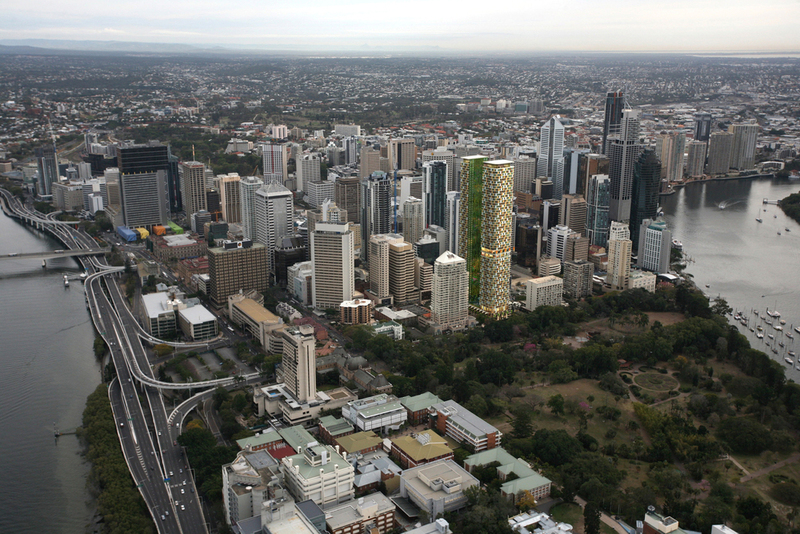 The French Quarter concept is a competition winning design for two new mixed use towers in Brisbane. Situated in the French Quarter of the city adjacent to the Botanical Gardens the street level evokes a French flavour with pavement cafes and a continental style incorporating forms derived from French Art Nouveau design, which is a synthesis of botanical form with the built environment. The towers are 62 storeys each, reaching 235 m high, the tallest buildings in Brisbane. 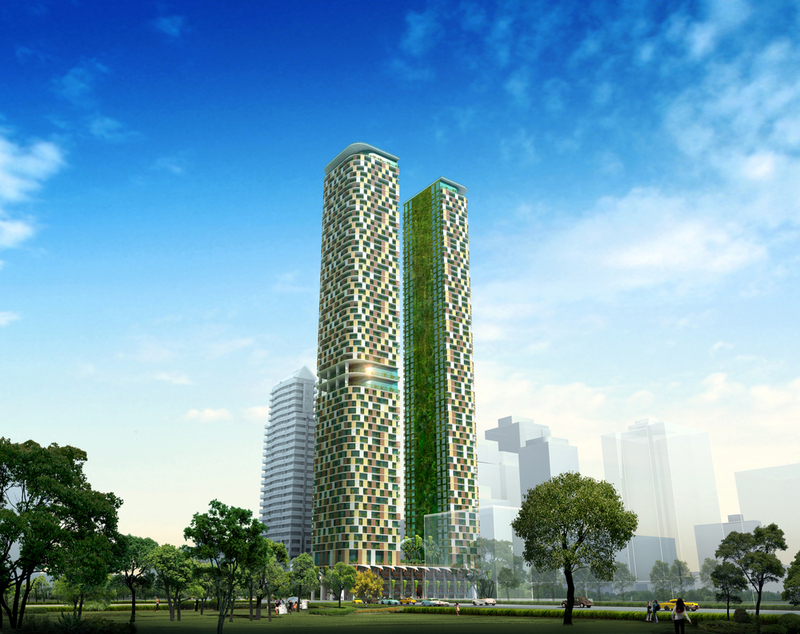 To maximise return for investors and ensure economy of construction the towers maintain the same plan throughout. This simple plan also ensures that there is no reduction in size of the high value apartments at the top. Sliding timber shutters that afford shade and privacy to the apartments enhance the simplicity of the towers. Both the shutters and the balcony balustrades are derived from typical French architecture. The movement of the shutters creates a random effect that will change throughout the year, adding a dynamic rhythm to the elevations, a chaotic effect that mirrors the natural world making another subtle link to the botanical gardens.